Organic Gardening is the way Nature intended its vegetables, herbs and fruits to be grown. Organic Gardening means gardening without the use of chemical pesticides, herbicides, or fertilizers. By growing plants, especially those grown for human consumption, gardeners get healthy, nutrient-rich fruits and vegetables that promote health, rather than cause health problems. Successful organic gardening, whether outdoors or indoors, is a bit more time-consuming, but the benefits of eating fresh produce and avoiding the short and long-term effects of the chemicals used in most commercial produce production are more than worth it. All plants grown in soil depend on it for all the air, water, nutrients, and structure they need to grow strong and resist disease and pests. Soil is your gardens foundation. Take care of your soil properly and your plants will flourish and provide you with an abundant supply of fruits and vegetables. In a non-organic garden, gardeners control insect pests and plant diseases by applying a wide array of toxic chemicals, designed to kill the insects or disease-causing organisms. The problem is that the same toxic effects also affect humans, in one way or another. Sometimes, the effects are small, but cumulative. 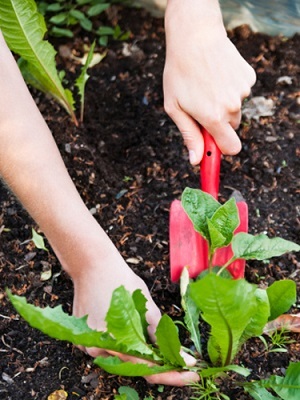 The organic gardener uses vigilance and other techniques, like hand picking of insects, special organic washes to remove other pests, and companion plantings to repel still others. The result can sometimes be produce that is slightly less attractive than the perfect produce from chemical gardening, but that is a minor concern. Organic produce has only good effects on the body, while those perfect-looking veggies and fruits carry a toxic load of chemicals. Find additional information on our Organic Weed and Pest Control Page. 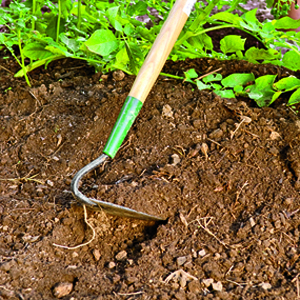 The ideal soil needs only small amounts of fertilizer, and proper composting of spent plants to be added back into the soil can keep your soil fresh, healthy, and productive. Still, there are times when your garden may need a boost to promote strong foliage growth and a good crop. When the need for additional nutrients occurs, there is a wide array of organic fertilizers and additives to handle the job, without resorting to harsh chemical fertilizers.